Petrakis P.E. (2018) The Potential Role of Universities on the Development of the Economy and the Society: Determining Factors. Presented in the 2nd Greek Conference: “Greece - Europe 2020: Education, Lifelong Learning, Research, New Technologies Innovation and Economy”, 28-30 September, Lamia, Greece. Kostis P.C., Kafka K.I., Petrakis P.E. (2017) Cultural Change and Innovation Performance, 7th Global Innovation and Knowledge Academy (GIKA), 28-30 June 2017, Lisbon, Portugal. Petrakis P.E., Valsamis D.G., Kostis P.C. (2016), Institutions and culture on stagnation and growth, Third World Interdisciplinary Network for Institutional Research (WINIR) Conference "Institutions and Human Behaviour", 1-5 September, Boston, Massachusetts, USA. Petrakis P.E., Kostis P.C., Valsamis D.G. (2014) Innovation and Competitiveness: Culture as a Long-Term Strategic Instrument: Culture on Innovation and Competitiveness during the European Great Recession, 3rd Global Innovation and Knowledge Academy (GIKA) Conference, Valencia, Spain, 7-9 July. Petrakis P.E., Eleftheriou K., Kougoulis P., Farouk S. (2014) Financial Contagion and Extreme Coexceedances in the U.A.E. & the G.C.C. Countries, 3rd Abu Dhabi University Annual Research Conference, , Abu Dhabi, 23-24 April. Kostis P.C., Kafka K.I., Petrakis P.E., (2013) “Stabilization Programs, Growth, Debt and Current Account Deficit in European Union: A Probabilistic Analysis (1993-2013)”, 1st International PhD Meeting of Thessaloniki in Economics 2013, July 1-2. Petrakis P.E. (2012) Causes, Repercussions and the Future of the Greek Crisis, Doha Forum, May 2012, Qatar. Petrakis P.E., Kostis P.C. (2012) Trust and Knowledge in SME Development, Paper presented at Second Conference of the International Network of Business and Management Journals (INBAM): "Brokering Knowledge", Valencia (Spain), March 20th to March 22nd, (March 20-22, 2012 ). Petrakis P.E., Katsaiti M. (2010) “Risk, Future Orientation and Entrepreneurship”, Creativity and Innovation in an International Context, International Network of Business and Management Journals (INBAM), Valencia, Spain,(1‐4/6‐2010). Petrakis P.E. (2006) “Accessibility and Quality of Lifelong and Flexible Learning in National and Kapodistrian University of Athens: The Case of E‐Learning Program”, EADTU Annual Conference 2006, Tallinn, Estonia, (23‐24/11/2006). Petrakis P.E. (2006) “A non Entrepreneurial Entrepreneurship: The Greek Case”, International Entrepreneurship Conference, 31/10‐2/11/2006, Cardiff – Caerdydd, U.K.
Petrakis P.E. (2006) “The Dilemmas of Entrepreneurship Curriculum Development”, Internationalizing Entrepreneurship Education and Training,9‐12/7/2006, Sao Paulo, Brazil. Petrakis P.E. (2005) “Growth, Entrepreneurship, Structural Change, Time and Risk”, ISBE 28th National Conference, University of Central Lancashire-Lancaster University, 13/11/2005, Blackpool, U.K.
Petrakis P.E. (2005) “Creating a curriculum to teach Entrepreneurship in Secondary Education”, European College Teaching & Learning Conference, 20‐22/6/2005, Santorini, Greece. Petrakis P.E. (2005) “Growth, Entrepreneurship, Structural Change, Time and Risk”, 8th Uddevalla Symposium, University of Trollhatan, 15‐17/9/2005, Uddevalla, Sweden. Petrakis P.E. (2005) “Methodological aspects of teaching entrepreneurship in tertiary education”, Applied Business Research Conference, 13‐17/6/2005, Athens, Greece. Petrakis P.E., Stamatakis D. (2005) “Human capital, growth and convergence traps: Implications from a cross –country analysis”, Annual Conference of “Verein fur Socialpolitik: Research Committee Development Economics, 8‐9/7/2005, Kiel, Germany. Petrakis P.E. (2005) “Creating a curriculum to teach Entrepreneurship in secondary education”, Internationalizing Entrepreneurship and Training Conference, 10‐13/7/2005, Surrey, U.K.
Petrakis P.E. (2005) “Methodological aspects of teaching entrepreneurship in tertiary education”, Internationalizing Entrepreneurship and Training Conference, 10‐13/7/2005, Surrey, U.K.
Petrakis P.E. (2005) “Human Capital Convergence: A Cross Country Empirical Investigation”, The Global Business &Finance Conference, London, July 2005. Petrakis P.E. (2004) “Growth, Entrepreneurship and Structural Change: The role of Risk”, 3rd International Conference for Entrepreneurship and Macroeconomic Management, Pula,Croatia, (28 ‐30 April 2005). Working paper for RENT XVIII Conference in Copenhagen (25‐26 November 2004). Petrakis P.E., Kotsios S. (2004) “Growth, Entrepreneurship and Uncertainty”, Paper accepted at the 3rd International Symposium Economy 2004, Bulgaria, (14–17 September 2004), 47 p.
Petrakis P.E., Bourletidis K. (2004) “How and what we shall teach in an Entrepreneurship Educational Program: The dilemmas of Entrepreneurship Curriculum Development”, Paper presented at the Economic Education Conference‐What we teach and how we teach it: Perspectives on Economics from around the Globe, Adelaide, Australia, (1326 July 2004), 63 p.
Petrakis P.E. (2004) “Entrepreneurial Time, Commitment and Risk”, The 2004 European College Teaching and Learning and European Applied Business Research Conference, 14‐18/6/2004, Edinburgh, Scotland. Petrakis P.E., Kotsios S. (2004) “The effects of Risk on Growth, Equilibrating and Creative Entrepreneurial events”. Paper presented at the METU International Conference in Economics VII, Ankara, Turkey, (5‐7 September 2003), 10 p.
Petrakis P.E., Kotsios S., Koelis E. (2003) “The analysis of the relation of Growth, Entrepreneurship and Risk over Business Cycles. Paper presented at the International Network for Economic Research (INFER) Annual Conference 2003-Determinants of Growth and Business Cycles: Theory, Empirical Evidence and Policy Implications, Giessen, Germany, (5‐6 September 2003), 8 p.
Petrakis P.E. (2004) “Factors Influencing The Ideal Duration of Entrepreneurial Commitment”, “Entrepreneurial Time, Commitment and Risk”, The 2004 European College Teaching and Learning and European Applied Business Research Conference, 14‐18/6‐2004, Edinburgh, Scotland. Petrakis P.E. (2003) “The analysis of the relation of Growth, Entrepreneurship and Risk”. Paper presented at the RENT XVII-Research in Entrepreneurship and Small Business Conference, Lodz, Poland, (20‐21 November 2003), 9 p.
Petrakis P.E., Samitas A., Kenourgios D. (2003) “Alternative Source of Financing Entrepreneurship: The case of European Secondary Capital Markets” Paper presented at the European Foundation for Management Development (EFMD)‐33rd Conference, Milan, Italy, (10‐12/9/2003), 10 p.
Petrakis P.E., Neofotistos G. (2003) “Entrepreneurship and the quest for the new economy – Golden Fleece: County‐of‐origin‐risks, networks, and distance to frontier“, Paper presented at the Global Business Conference, Istanbul (7‐12/8/2003), 8 p.
Petrakis P.E., Kotsios S. (2003) “Growth, Entrepreneurship and Risk”, in cooperation with S. Kotsios. Paper presented at the European Association for Research in Industrial Economics – EARIE 2003 Conference, Helsinki, (24‐26/8/2003), 12 p.
Petrakis P.E., Kotsios S. (2003) “Growth, Entrepreneurship and Risk: The positive connection”, paper presented at the Globalization and Entrepreneurship: Fears, Challenges and Opportunities Conference, Croatia, (24‐26 April 2003), 9 p.
Petrakis P.E., Neofotistos G. (2003) “Entrepreneurship and the County ‐of‐Origin Risks”, paper presented at the 4th South Eastern Europe and the New Economy Conference, Bucharest, Romania, (3‐4/4/2003), 8 p.
Petrakis P.E. (2003) “Social and Economic Factors Affecting Entrepreneurship Perspectives”, paper presented at Small and Medium Enterprises in European Economies conference, Cluj‐Napoca, Romania (17‐18/10/2003), 11p. Petrakis P.E. (1997) "Policies for Improving the Competitiveness of Small and Medium Sized Enterprises", 27th European Small Business Seminar Proceedings, Change and Innovation: The Challenge for Small Firms, Rhodes, Greece, (17‐19 September 1997), 10 p.
Petrakis P.E. (1997) “Investment Promotion Policies towards SME’s in Greece. Evolution and Prospects”, paper presented at the Conference "Greece: Prospects for Modernization", London School of Economics and Political Sciences. Petrakis P.E., Alexakis P. (1993) “Analyzing Stock Market Behaviour in a Weak Capital Market”, (1991), European Institute for Advanced Studies in Management, Workshop of Equity Pricing and Portfolio Management, Katholieke Universiteit, Leuven, in cooperation, 13 p.
Petrakis P.E. (1993) “The Demand for Services by the SME's", paper presented in the 20thAnnual Conference of the European Association for Research in Industrial Economics, Tel Aviv, (September 1993), 10 p.
Petrakis P.E. (1990) "The Profitability of Domestic vs. Foreign Technologically Depended Industrial Companies: The Greek Case", paper presented at the 17th Annual Conference of the European Association for Research in Industrial Economies, Lisbon, Portugal, 29 p.
Petrakis P.E. 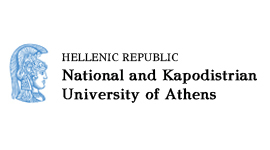 (1988) «On Selective Credit Policies in Industry, the Case of the Greek Economy, 1967‐1984", paper presented at the 15th Annual Meeting of the European Financial Association, 52 p.